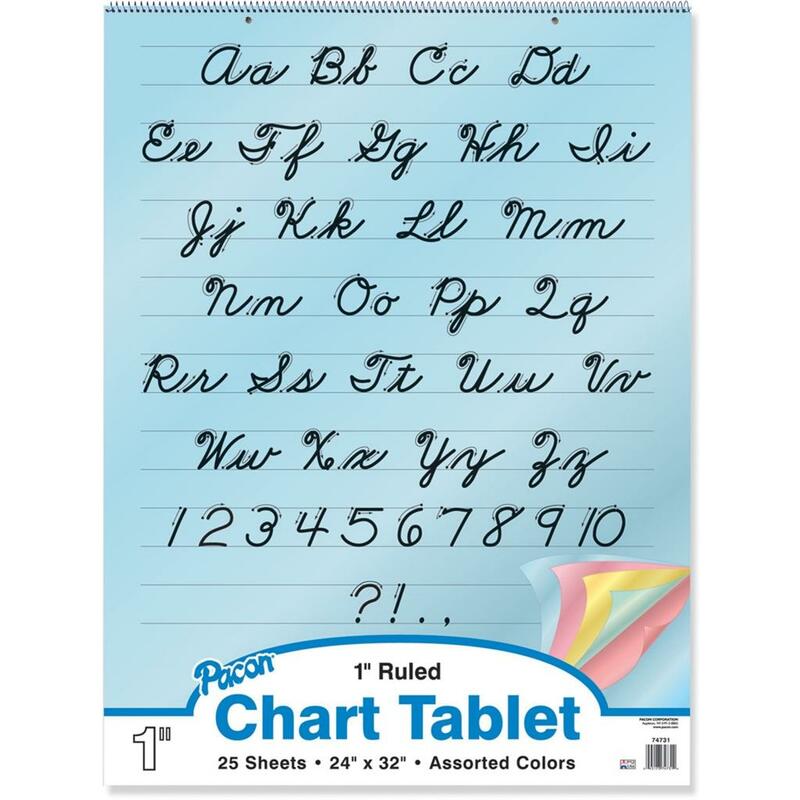 Traditional chart tablet contains 25 sheets of pastel-colored bond paper and a cover decorated with the alphabet in cursive. 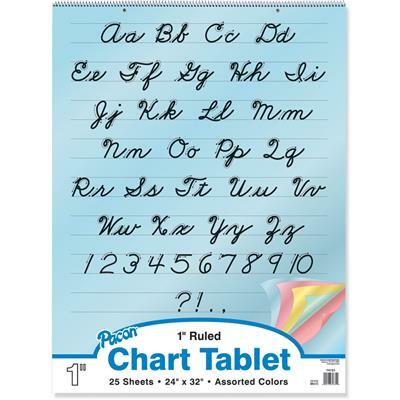 Each sheet is two-hole punched and offers 1"" ruling in the short way. The stiff cover and paper are spiral-bound at the top. Assorted colors of pages include yellow, pink, salmon, blue and green.